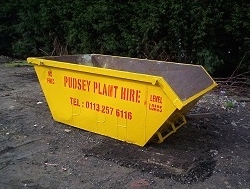 All skips placed on public land such as a grass verge, pavement or road are subject to a a local authority permit fee. The hire period for our skips is 1 week and a weekly rental will be charged for longer periods of hire. We cannot accept asbestos, tyres, refrigeration units, gas cylinders or any hazardous material. Mattresses will incur an extra charge of £20. Skips must not be overloaded. Please only fill a skip up to its brim. Overloading a skip or any attempt to increase the size of the skip (such as using boards) is dangerous and will exceed our safety guidelines and we reserve the right to refuse dangerously overloaded skips. Any damage to the hirer's property occurring whilst on or off loading containers is the hirer's responsibilty. This includes manhole covers, gates and gateposts, flagstones etc. A full refund will be given if a skip order is cancelled prior to delivery. 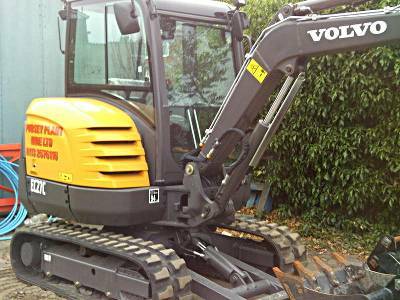 All plant is hired under CPA conditions (available on request).